Good morning all! I hope everyone had a great Saturday, and is ready for a restful Sunday. Hot, Humid, and Stormy Weather Looks to Continue over the next several days, making for a pretty monotonous forecast. The one constant in this forecast is the expected heat. We are still looking at conditions that require attention and focus during the afternoon hours. Yesterday’s high was 93ºF, and dewpoints were in the mid and upper 60s yesterday afternoon, yielding some mid 90s heat index values. This is expected to continue. Highs through the middle of this coming week (at least Thursday) are expected to be in the 88ºF-92ºF. 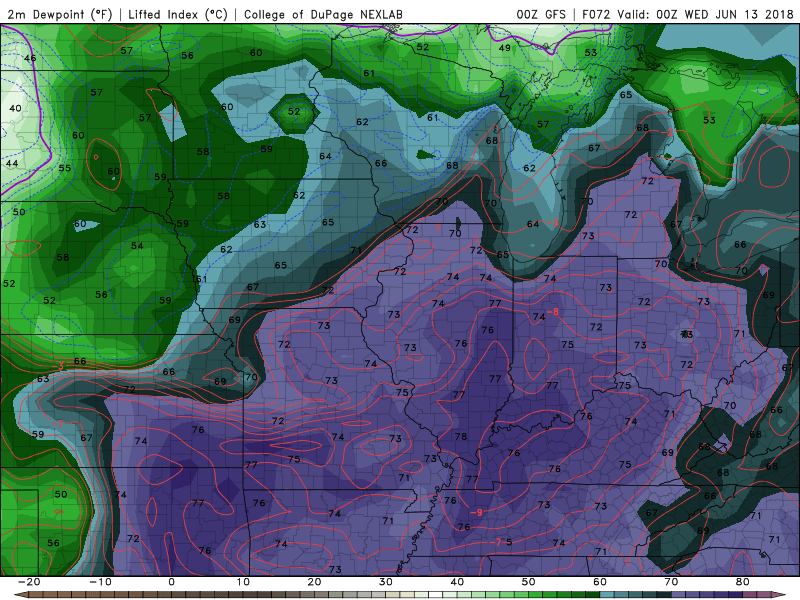 In addition to this, models indicate that afternoon dewpoints will be consistently in at least the upper 60s. This combination will create some dangerous heat. Be sure to stay hydrated if you have extended periods of time when you have to be outside. Additionally, pack on the sunscreen, and be sure to take multiple times to stop and rest after being outside. Now, the afternoon heat can be cooled by a thunderstorm, which leads me into our next section. 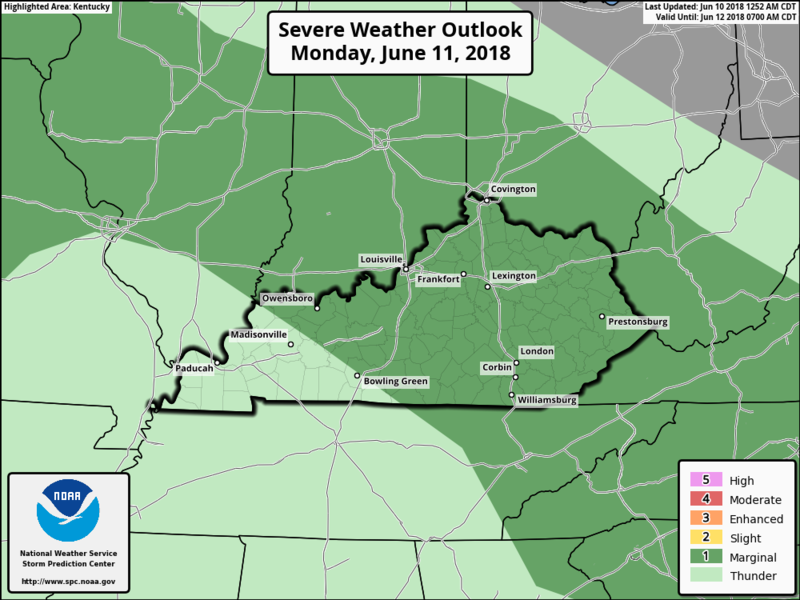 Even more so than yesterday, scattered to numerous thunderstorms are expected to develop across the region over the coming days. 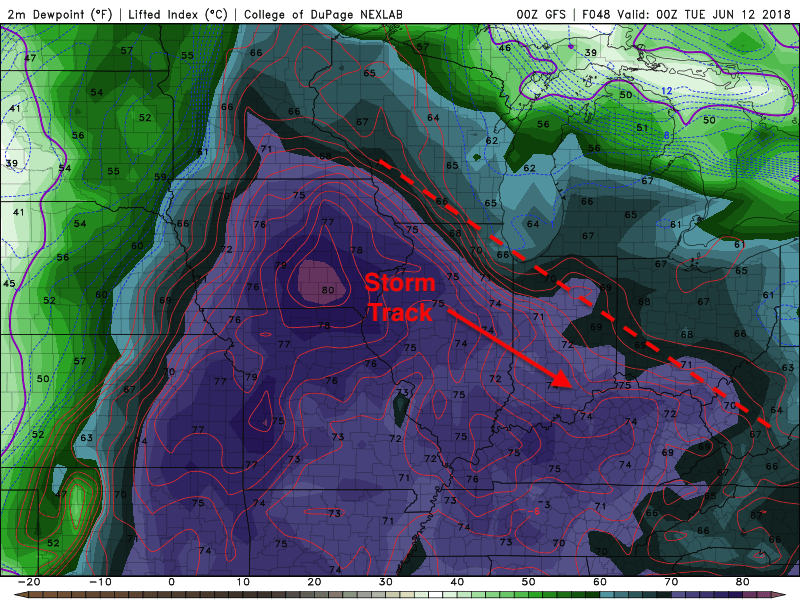 There will be a variety of forcing mechanisms (weak atmospheric disturbances, winds from other storms, etc. ), and there will be plenty of moisture to work with during the day. The set ups between Today, Monday, and Tuesday all look a bit different, though, which makes this an interesting forecast at least! Today, there is currently a strong cluster of storms much further south in Indiana than the majority of models forecasted. I think the remnants of this cluster of storms should be able to fire off organized activity near us this afternoon. These storms would be capable of heavy rain, lightning, and isolated damaging wind gusts. If this system doesn’t get this far south, still expect thunderstorms this afternoon. 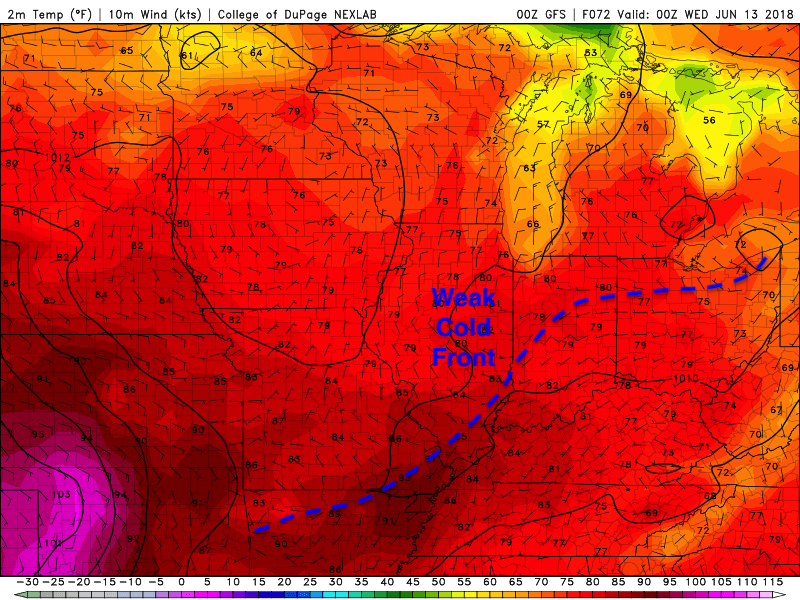 Monday and Tuesday will be more driven by weak frontal boundaries that should sag into the region. Thunderstorms today and tonight should push the weak boundary over the northern Ohio Valley south. This should be a focal point tomorrow. On Tuesday, a different cold front looks to push towards the region, and should result in organized thunderstorm activity. Each day, strong storms are possible. Lightning and heavy rain are the most significant threats, but isolated damaging wind gusts are also a threat. 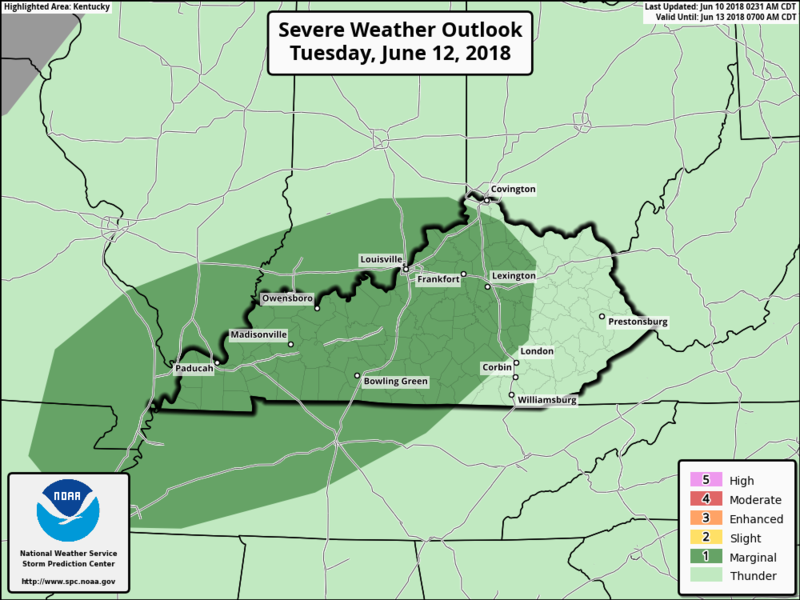 The daily threat of storms is expected to remain through Wednesday and Thursday, but the highest chances are today through Tuesday. Well, that is all I have, folks! Be sure to check out @wxornotBG on Twitter for the latest weather information. Have an awesome day!